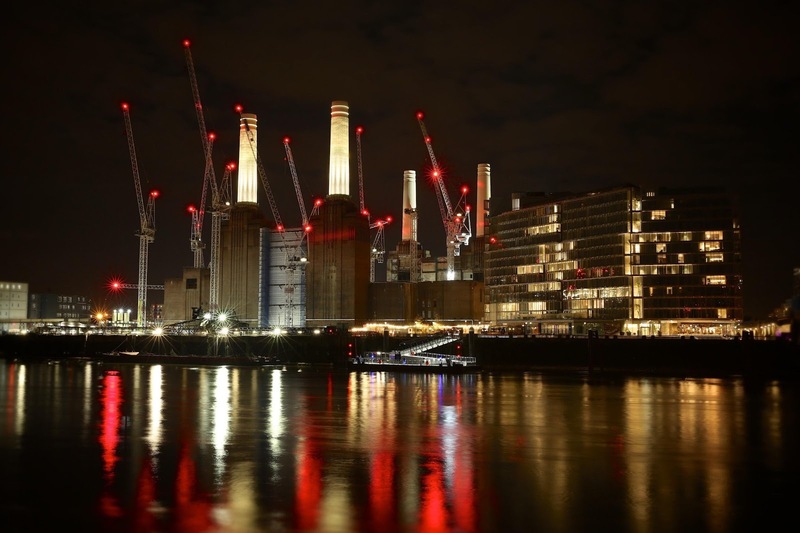 Battersea Power Station will kick off its Christmas festivities on Thursday 30 November, when thousands of lights along the new riverwalk, as well as a large Christmas tree and the iconic Chimneys, will be illuminated at 7pm. The moment marks the start of a month-long series of fun and festive activities taking place at Circus West Village in the run up to Christmas. Click here for our full line-up of events. Christmas Gift Shopping – Pick up a unique gift at the Circus West Pop Ups. There’s Wax + Wick for hand-poured candles, handmade toys, artwork from local artist Kethi Copeland, ceramics from Manufactured Culture and many more. The Battersea Power Station Design Store will also be open, selling goods from independent local artists and designers. Workshops - Every Saturday, Heaps + Stacks will be hosting workshops on bauble calligraphy, gift wrap printing and gingerbread Power Station making. On Thursdays, florist Moyses Stevens will be running flower and wreath making classes. There will also be a crafts corner and wish tree with an opportunity to win weekly prizes. Children’s Entertainment - For kids, Sharky & George will provide entertainment every Saturday morning, getting them involved in imaginative and energetic games and adventures with a Christmas twist. They will give children a fantastic time and adults a chance to relax in the hectic Christmas build up. Pop-Up Cinema - The Luna Winter Cinema will be calling The Village Hall home for December and January, showing Christmas classics like Home Alone, Miracle on 34th Street and Elf. The cinema will have a bar serving winter classics and the choice of comfy bean bags or luxury two-person sofas to snuggle up on. Giant Mistletoe - Giant mistletoe at Grosvenor Arch will allow residents and visitors to capture a tender moment with a snowy Power Station backdrop installed, making it a wonderful setting for a picture. Alternatively, visitors can hop into the sleigh next to Christmas Tree, the perfect place to take an ‘elfie’ this season. Tag @BatterseaPwrStn and #justfollowthelights for a chance to win an exciting prize. In addition, visitors will also be able to explore the new restaurants that have opened at Battersea Power Station. These include Mother, a pizza restaurant from Copenhagen, No. 29 Power Station West, the village pub, Fiume, an Italian restaurant with chef Francesco Mazzei and from 11th December, seafood restaurant Wright Brothers. The Battersea General Store will also be stocking the very best festive goodies while Ben’s Canteen, known for its burgers and Bloody Marys, will open a pop-up beside the river with covered seating and outside heaters. The Battersea Power Station Community Choir will be singing and, every Thursday until Christmas, a quartet of professional singers will provide the entertainment with timeless classic carols and well-known Christmas songs. The new MBNA Thames Clippers River Bus service, supported by a state-of-the-art pier created at the foot of the iconic Power Station, started on 1 November. It brings Circus West Village within 15 minutes of the West End and 40 minutes of Canary Wharf and marks a significant extension to River Bus services on the River Thames. Rob Tincknell, CEO of Battersea Power Station Development Company, said: “Battersea Power Station is a great place to visit in the run up to Christmas and we hope people will come and explore the new restaurants and shops that have opened here. We also have an exciting programme of fun, festive events for families so there is something for everyone to get involved with this Winter.